There�s a collective urgency now, which I hope is enough to inspire sitting and action. 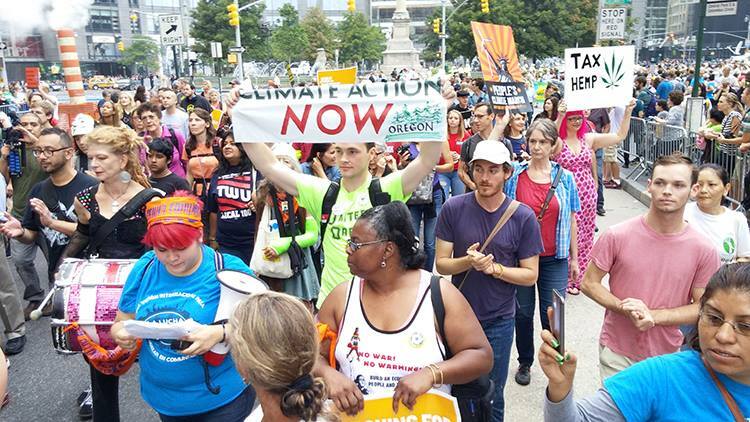 The above quote captures the tone from a presentation on October 3 by City Center resident Milo Burn after his return from the People’s Climate March in New York on September 21. 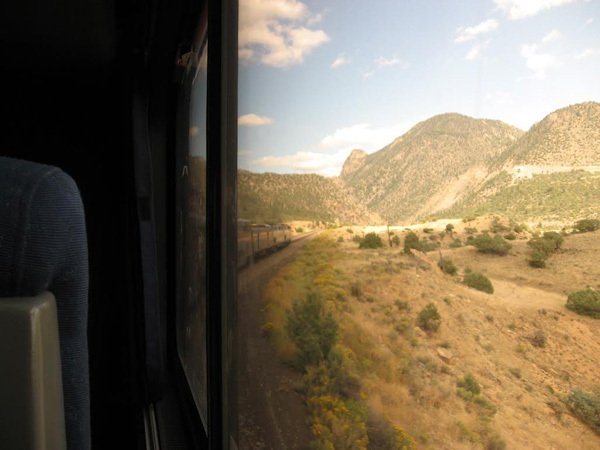 Milo traveled there on “the Climate Train,” which made the cross-country trip an event in itself, as 170 activists spent travel time together in workshops and inspiring each other, all while on board Amtrak. 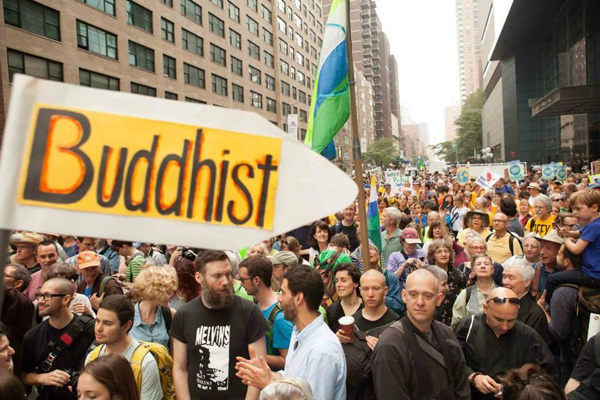 Other SFZC representatives also attended the march in New York (pictured in the bottom right of the photo, right), including Central Abbess Eijun Linda Cutts, President Susan O�Connell, Branching Streams Coordinator Steve Weintraub, Program Director David Zimmerman, GGF Conference Coordinator Shokuchi Carrigan. 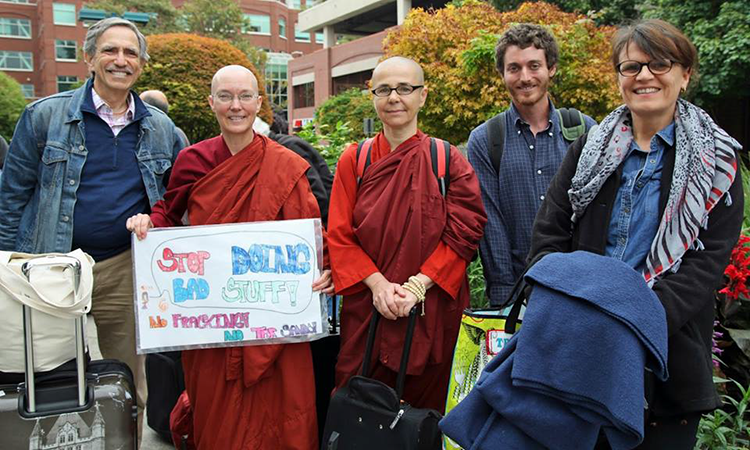 This group joined a contingent from Brooklyn Zen Center, along with hundreds of thousands of other concerned people marching to make a statement to world leaders gathering for the UN Climate Summit. Just before boarding the Climate Train. L to R: James Baraz (did not take the train), Ayya Santussika, Ayya Santacitta, Milo and Thanissara (speaking this Friday). To explore further and engage with Milo and others on these issues, join us at City Center for upcoming Ecosattvas events on select Friday evenings, including the reading by and discussion with Thanissara this Friday.